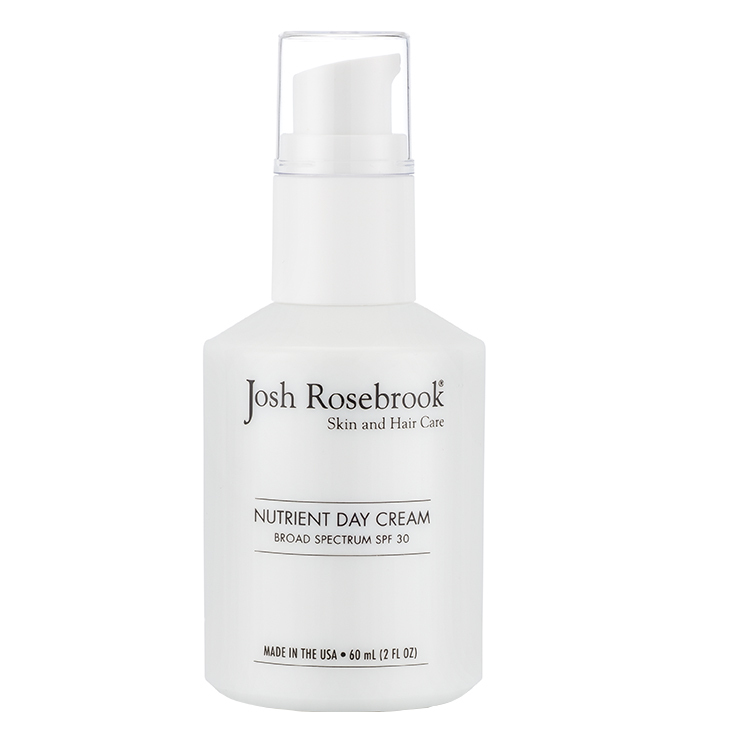 The Josh Rosebrook Nutrient Day Cream with SPF 30 is a superior and unisex formula that's easy to wear every day. 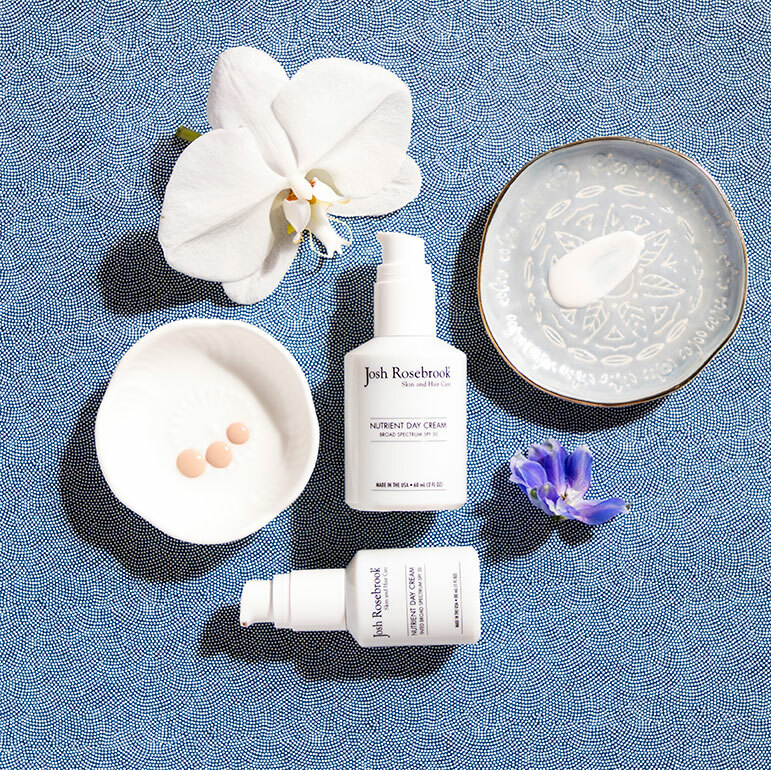 With a beautiful pairing of the organic plant and herb infusions characteristic of Josh Rosebrook, it makes for the perfect daytime moisturizer. This nutrient rich cream features organic sea buckthorn, burdock, gingko, neem, rose hip and chamomile coupled with safe physical sunscreen, non-nano micronized zinc oxide. Apply evenly to face, neck and anywhere you want moisture and sun protection. Wears beautifully under makeup. Re-apply the SPF 30 face cream every two hours or after perspiring or exposure to water for most effective UV protection. When applying stay approximately 1/2 inch away from the eyes as sunscreen can be irritating to the eye area. I love the smell of this product and the way it applies. My husband is using it as well. The price is a little hard for me to get over and so I don't know I'll repurchase for that reason. But its definitely incredible! Unisex, non-clogging, and full day moisture. The smell reminds me of home made marshmallows. This has become a daily go-to for both my husband and me. My dry skin loves it. I was so excited for this product...However, It pills up on me every single time I try to use it! I feel so bad to share my disappointment. So I have had so many misses with moisturizers with SPF over the years I've pretty much given up, then I got this in my BH's box last month and thought why not give it a go. So glad I did, it is a fantastic moisturizer and the SPF for me is a just a bonus. This is light, it sinks right in, and doesn't have weird sunscreen smell. I have what I would call combo sensitive skin. I breakout, I have an oily T-zone but I'm also older so my skin is often dehydrated and has a tendency to overreact to new things. This product has been a dream and I've been using it consistently for a month. Can definitely see myself repurchasing. The NDC can be personalized to your skin color if you already have your Holy Grail powder, or liquid, foundation. While powder foundations mix best with this formula, if you only have a liquid foundation figured out, mixing the two for SPF coverage will give you medium coverage compared to the full coverage a powder infusion will give you, but with added SPF!